In the beginning, I had a small brown pleather suitcase. It had red and blue racing stripes on the side. When I came home to my mother’s, after two weeks at my father’s, my dog would climb into it, with my clothes, and fall immediately asleep, as if he was the one returning. Eventually, the zipper on that suitcase broke. I used it anyway, carrying it with two arms, one to hold the flap shut. Things fell out in the car on the way to or from one of their houses. I was always dropping things. They got annoyed. 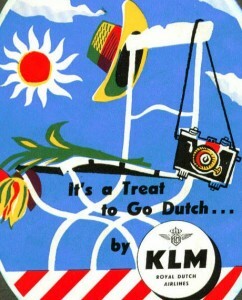 Then I had a plastic KLM bag from our trip to Europe with Mom. 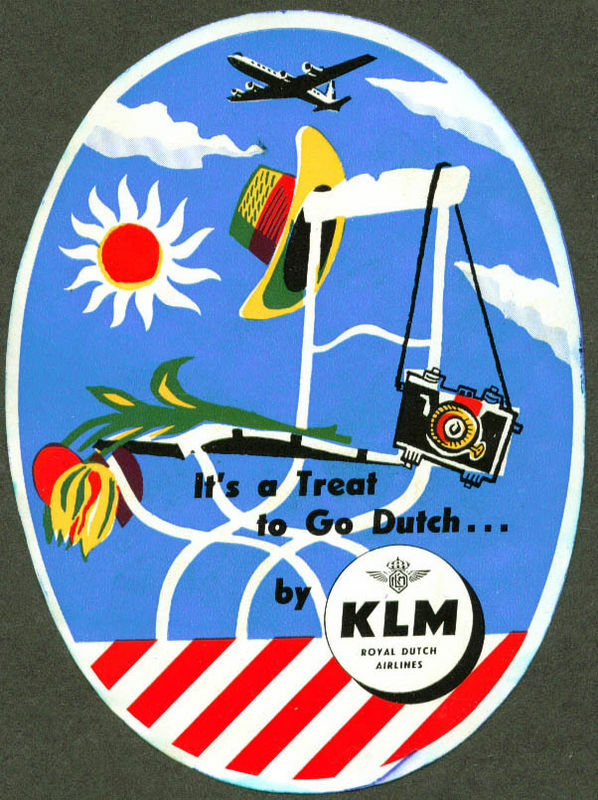 They gave it to us on the Dutch airplane, for things we might bring home from the trip. It was a cheap, bright blue with white lettering. It was only a square gym bag, not meant for heavy use. It didn’t last long. After that, I used garbage bags. At my mother’s house they were the cheap white kind that sagged and tore easily. My father had sturdy black ones, so I tried to stash a couple each time I was at his house. With trash bags, you just tossed everything in each time. Lotion, clothes, books, Raggedy Ann, shoes, towel, toothbrush, shampoo. When I departed for college, where I would live in the same room for a year, my father and stepmother bought me a set of luggage. There was even a garment bag, with little gold hooks for hangers at the top of it. These are some of the stories that I know. Other stories than the ones I usually tell. The first stories, I guess.